Amazing atmosphere and wonderful views. Modern apartment block, every modern convenience/comfort, lift, underground parking. 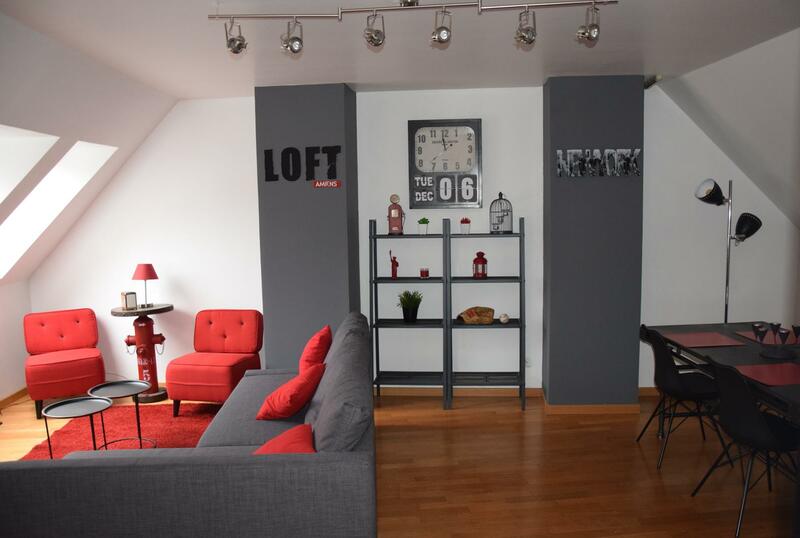 Loft-style apartment (60 sq.m.) for 4 people. |Bedroom (queen-size bed), large living room (corner sofa bed). Fitted kitchen (oven, microwave, dishwasher, washing machine), bathroom (large bath, shower, washbasin). Tastefully decorated living room (LED TV, Bluetooth-USB audio tower), free WIFI Internet access.